This calendar is open to the entire Venango County community to both view and post. 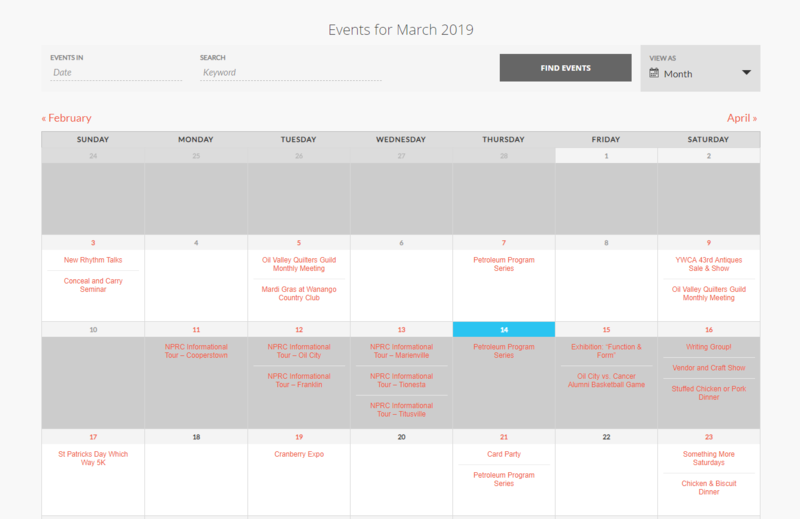 If you scroll to the bottom of the page, you’ll see a button that says “add your event to the calendar.” Simply click this, fill out the form with details, and submit it. We’ll review the event, then post it to the calendar as soon as possible. The event submissions can include photos, website links, information about your organization, and more. We encourage you to check it out and let us know if you have any questions.